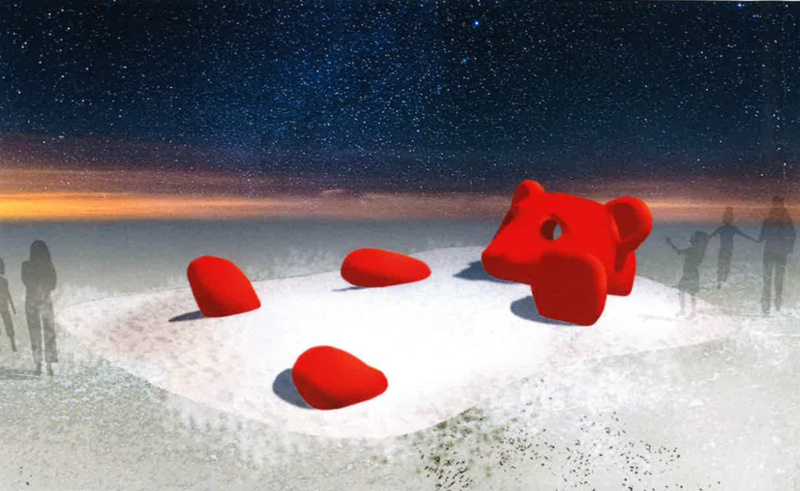 A giant red bear reclining in the snow, a cosy cabin made from tree roots and a jingling wind chime constellation are just some of the installations that visitors to Toronto’s downtown Waterfront can experience this winter as the winners are announced for the second annual Ice Breakers event. On October 19, the Ice Breakers jury met to choose the final five art installations that will be built and featured along Queens Quay West. It was a full day of jury deliberations, where over 100 international submissions from around the world were reviewed. Jury members included Heather A. Meltzer, Principal, Bow Bridge Communications LLC, Udo Schliemann, Principal Creative Director, Entro Communications, Ilana Shamoon, Cultural Programming and Public Art Commissions Manager, Waterfront Toronto, Jeremy Smith, Chief Development Officer, Harbourfront Centre and Deborah Wilson, Vice President Communications and Public Affairs, PortsToronto, also joined by WBIA and Winter Stations organizers. “We were bowled over by the high standard of entries this year, and the creative responses to the theme ‘constellation’. 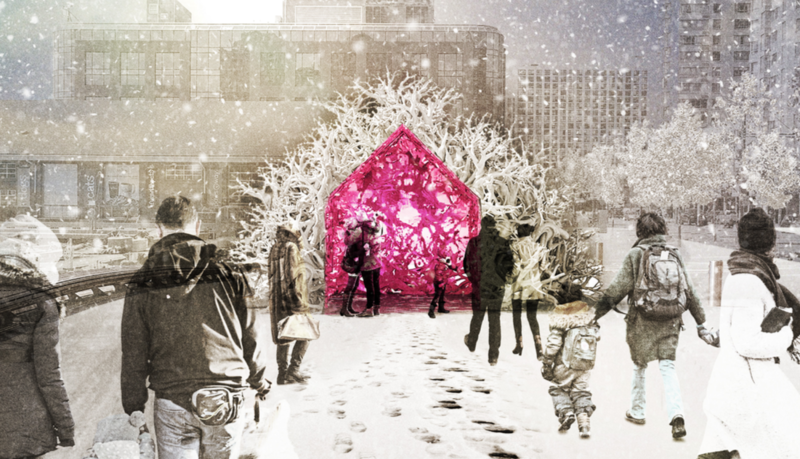 We chose the winners based on their originality, feasibility and how interactive and engaging we thought they could be,” said Winter Stations co-founder Ted Merrick of Ferris + Associates. The name Ice Breakers is inspired by the utilitarian ships once used in Toronto’s harbour to break up frozen bodies of water, keeping commerce flowing into and out of the City. Ice Breakers is also a testament to the power of design, bringing strangers together and sparking a fresh dialogue about Toronto’s urban Waterfront. 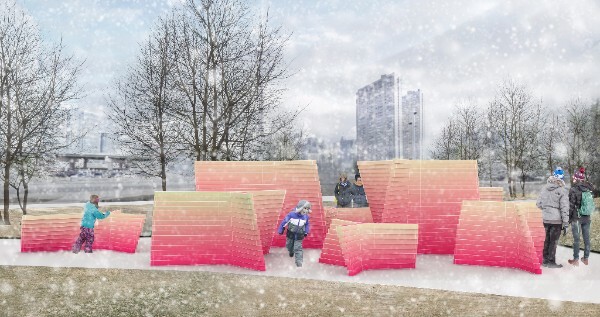 Developed in partnership with PortsToronto, all five Ice Breakers installations will be dispersed throughout the Waterfront between York Street and Spadina Avenue beginning January 19. 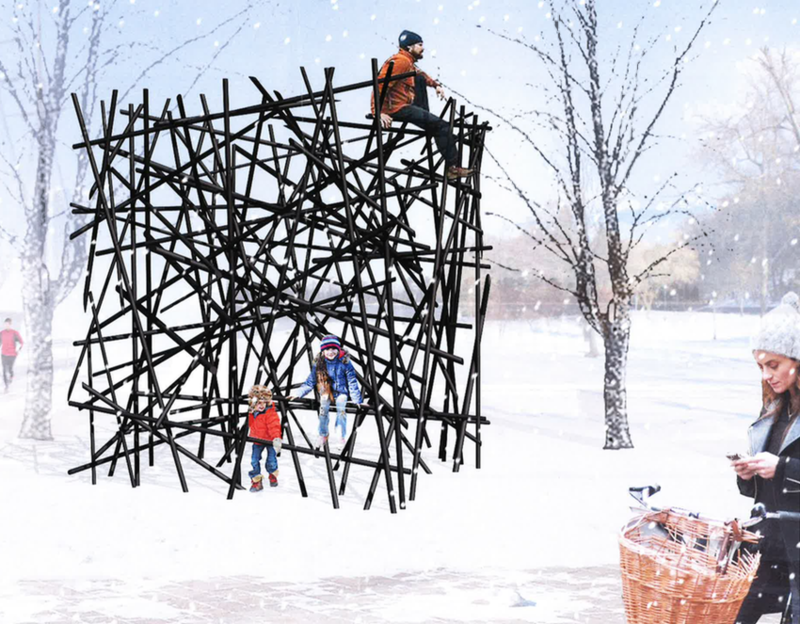 The exhibition will run over five weeks, coinciding with the debut of the fourth annual Winter Stations competition in The Beaches on Family Day.